All requests for returns due to mistaken shipments must be approved by us within three working days from receipt of order. You are requested to provide us with the Authorization number of the shipping goods. Failure to approve the Authorization will result in no action. Merchandise must be in 'good as new' condition, you can open them, but please be careful not to damage or mark the products. No credit will be issued on items damaged due to shipping problems and any other situations beyond our control. The shipping company is liable for shipping negligence and you request damages from the shipping company. Buyer shall be responsible for shipping costs for the return. Returns based on color issues are not accepted due to color variations on computer monitors, so you must consider a slight color change from your actual proof prints to what you see on screen. 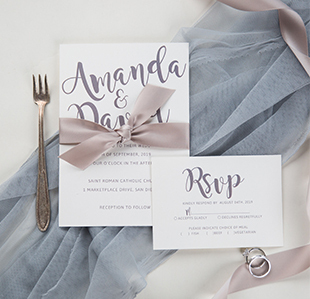 Your printed invitations will be close to the colors shown on our printed color card, but due to the custom nature of printing, these colors can vary over time and may not match perfectly. While color may not always be an exact match, keep in mind that we always make sure each and every order looks beautiful and that the color will look beautiful! We understand that ordering a dress for your special occasion is an important undertaking, and our cancellation and return policy was created with this in mind. However, it is important to note that our clothing and some accessories are made-to-order, whether you ordered a standard size or custom measurements, the materials cannot be reused once the creation begun. The good news is that after placing your order, there is still time to change your mind. Please refer to our cancellation and retuen policy below for details. For cancellation, please contact us at service@stylishwedd.com in 24 hours after order confirmation. For return, please submit a return request via email within 2 days of receiving your order to make sure you are eligible for a return. As all of our dresses are hand-sewn and custom tailored, the finished gown may vary by approximately one inch in either direction of the specified measurements. To ensure that your dress will still fit you perfectly, our seamstresses have created all our dresses with additional fabric in the seams to allow minor size modifications to be made easily. Returns based on color issues are not accepted due to color variations on computer monitors, so you must consider a slight color change from actural dress to what you see on screen. However, if you are certain that you have received the item in a wrong color, please contact us if a mistake has been made, then you may be eligible for a return for refund. All returned items must be in original condition, unwashed, unaltered, undamaged, clean and with the original tags and packaging. After we received your returned dress, the refund will be processed within 3-5 workdays.